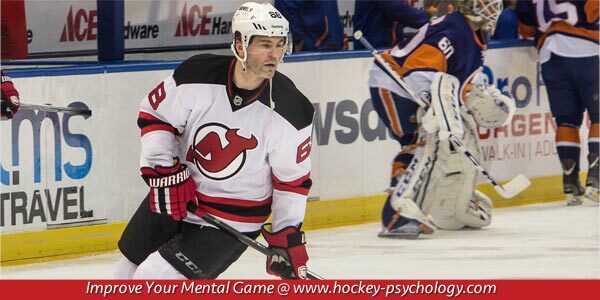 The New Jersey Devils lost in the first round of the playoffs 1-4 to the Philadelphia Flyers last week. Despite their loss, the team recognized the importance of staying mentally tough. 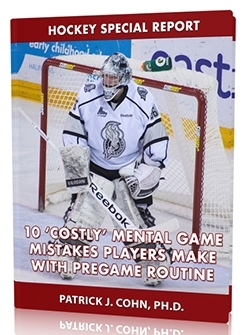 Playing in the playoffs or any important game for that matter can create mental challenges for you or your team. Some teams might have high expectations, feeling that they need to beat a team or have a perfect performance, which can create pressure and undermine confidence. Other teams might psych themselves out, freeze up in competition, lose confidence and trust in their skills. Some might look ahead to the next round and let up in the current game, causing them to under perform. How can you or your team boost their mental toughness? You’ll want to downplay the importance of the game. Many teams get caught up in the hoopla, teams’ records or other unimportant information. You’ll want to look at this game as the same as any other game during the season. You’ll want to focus on your team’s strategy for the game and what you can do to execute that strategy. Rely on your practice and preparation to get the job done. You’ll also want to let go of any expectations you (or others) have for your performance. Many teams focus too much on results or what it means if they win. When you focus on results, you lose focus on the current shift. You’ll want to refocus quickly when you get distracted and focus on what you need to do during the current play or shift. That may be to focus on good passes or staying with your competitor. By focusing on the process, the results will eventually fall into place. Want to learn all my secrets for Focusing your best under pressure? Check out The Focused Athlete at Peaksports.com.